February is our sustainable development month according CENFACS development calendar/planner. It is the month we revisit our works related to sustainable development. In particular, we try to look at again the United Nations’ Seventeen Sustainable Development Goals (SDGs) and their related targets. We normally select one of the topics within the set of SGDs and targets; and try to expand on it. In 2018, we focussed on the localisation of SDGs by working on the best way of making SDGs local goals. Localisation, which is the inverse process of globalisation, is a shift in the focus to the sub-national level. It is a process of making SDGs more suitable for local areas and people. Localisation is needed because the process of globalisation of sustainable development does not always address the needs and concerns of people and communities at the local level. This year, we are interested in capturing the new forms data about the use of the SDGs. We are searching how the new datasets can help not only to improve the implementation of the SDGs; but also to keep pace with poverty reduction and fasten poverty reduction results. Our interest goes beyond data collected from the stable environment (like from regions of Africa where there are political and economic stability) to consider exceptional and abnormal situations (for example where there have been wars and environmental disasters). Our approach on SDG data is about finding out what data from war zones and environmental situations in Africa can tell us on how people affected by wars and natural disasters are meeting or failing to meet SDGs and targets. In this respect, we are looking for new forms of data regarding the implementation of SDGs on and by children (particularly but not exclusively data related to the way in which SDGs impact African children). To support and or enquire about CENFACS’ Sustainable Development Month, contact CENFACS. We are resuming our advocacy work about the impacts of global goals (here climate and sustainable development goals) on the welfare and well-being of children, particularly but not exclusively on African children. This time, our advocacy process is based on the new types of information to capture this impact. This information could be quantitative (numbers) or qualitative (words) or both to test these impacts. So, our 3G project is still at the impact level. Under the Main Development section of this post, you will find further information about our focus on new forms of data for ACCSDGs this Year. 2019 has been dedicated as a Quadranscentennial Year or the “Q” Year at CENFACS. 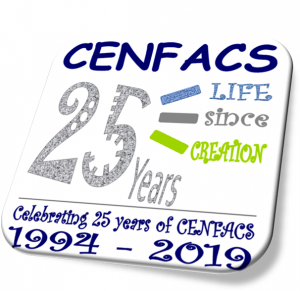 It is the year during which we are celebrating the establishment of CENFACS as a Quadranscentennial Creation. This celebration kicks off this February. 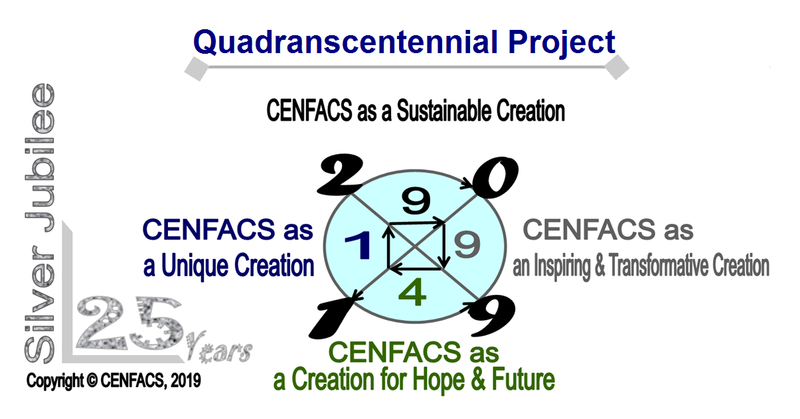 Next Summer, we will come back on the Quadranscentennial Creation particularly in June which is the Creation Month for CENFACS. In meantime, we will be progressively sharing with our supporters and readers some information about CENFACS milestone so that they can learn a bit more about CENFACS. We would like as well those who have recently joined us and those who may want to join us, to learn something about CENFACS on the occasion of this Silver Jubilee. As part this exercise of learning and knowing about CENFACS, you will find in the Main Development section of this post, the background to CENFACS. This week is also the restart of our campaign on Halving Poverty for this year. As we are still working on the effects of wars and natural disasters on the Central African Republic and Region of Africa (CARRA), our focus about Halving Poverty will be on halving child poverty for the children victims of wars in the Central African Republic. This fundraising campaign has taken over our Gifts of Peace which ended on 31 January 2019 for this year. Before looking at this year’s advocacy, let’s recall what we did in February 2018. February 2018 activity regarding ACCSDGs was about whether or not there are outputs produced and intermediate outcomes achieved so far. As we were in CENFACS’ Local Year or the Local People’s Year, we also did some searches on ways of localising CSDGs. We worked on a process of making CSDGs more suitable for local children and local areas. We made an effort through our Better Impact Advocacy to capture local impact for local children as far as CSDGs were concerned. This year’s advocacy for 3G will be about finding new forms of data about the use of SDGs. In other words, it is about capturing New Forms of Data regarding the application of Sustainable Development Goals. Capturing data regarding the coping and survival strategies as well as spatial and temporal activities of people and communities for their use of SDGs will be the main 3G focus. Spaces and times are important factors in this data collection and analyis. These users’ datasets about SDGs and their dynamics will be used for our further advocacy work on this matter. Particularly, we would like to get new forms of data regarding for example the victims of wars and armed conflicts as well as for the sufferers of climate change in terms of their uses of SDGs. Among them are children. Data could be about displaced children (displaced because of wars and natural disasters), street children, orphan children, children soldiers, children living in safety camps for humanitarian reasons etc. Our new data work consists of finding out whether these children are meeting SDGs or SDGs are failing them. These findings are important because 3G project is the impact level in CENFACS’ process of advocating that global goals work for children and not way around. It is indeed the testing of the gains that global goals claim to achieve and of their impact on the welfare and well-being of children. This is regardless whether these children are in spaces and times of peace or lack of peace (like conditions of wars and time of natural disasters). To handle this process, we may need to make and answer the same questions again and again. Are global goals (here CSDGs) working for children? Are they positively impacting (strongly, weakly and averagely) child poverty or on children? The answers to these two questions will feed our Better Impact advocacy in the context of 3G project, advocacy which is to demand not only an impact but a better impact from CSDGs on children. The Centre for Francophone African Economic Studies (CENFACS) was originally created/founded in August 1994 by Celestin Tshilenge – a Postgraduate Development Economist – and conceived to fill a vacuum in economic development information concerning Francophone African Countries (FACS) in the UK compared to the vast research work carried out and publicly available information on the other parts of Africa in the UK at that time. For historical reasons, little information was available within the UK on FACS whereas they form a significant part of Africa. 28 African countries out of 54 are Francophone; that is those where French is a primary language for communication and/or medium of education. Countries such as Rwanda, Burundi and the Democratic Republic of Congo came into the public eye in the 1990s, highlighting the media’s role in bringing attention to these countries only at times of wars, conflicts, natural and humanitarian catastrophes, immigration flows and political events. The above way of highlighting Francophone Africa resulted in crisis response or management by most African-led organisations based in the UK at that time rather than a preventive development strategy. Thus, CENFACS’ uniqueness posited it to bridge the gap in economic information on Francophone Africa. It was therefore a development-oriented body of knowledge, which aimed and still aims at promoting economic, social, human, environmental, transformative, sustainable and preventive development of Francophone Africa. CENFACS operated as an informal academic forum on economic studies and issues of Francophone Africa. From 2002, the informal organisation moved to embrace the spectrum of developmental issues in Francophone Africa. The Centre for Francophone African Economic Studies became the Centre for Francophone African Development while keeping its acronym of CENFACS, and whereby the emphasis has been now put on development instead of economic issues purely. From an informal forum of discussion, CENFACS began to promote small-scale sustainable initiatives in Francophone Africa while helping the ethnic minority people from Francophone Africa origin living in the UK. It was then registered (registered charity number 1092432) with the Charity Commission for England Wales as a charity since 13 June 2002. Donate to support CENFACS!